When it comes to planning an event, anticipating an upcoming press release or even recruiting new team members, deadlines arrive at the speed of light. If you’ve ever had an important date sneak up on you, rush promotional products can save the day. 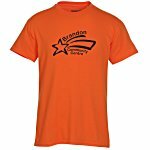 Thanks to our 24-hour service, you can order promo items today and they’ll ship tomorrow! With hundreds of products to choose from, you’ll find just the thing that fits your marketing needs. 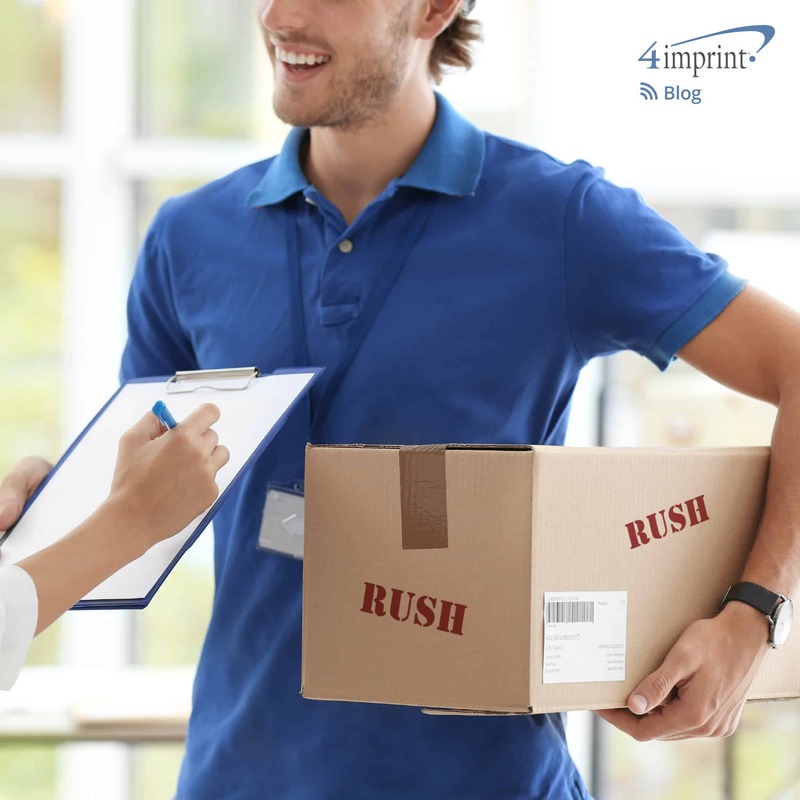 Here are three situations where rush promotional items can be life savers! Many things can cause last-minute changes to your event, including getting more RSVPs than expected. If you are preparing for a larger crowd than you originally planned for, don’t worry! 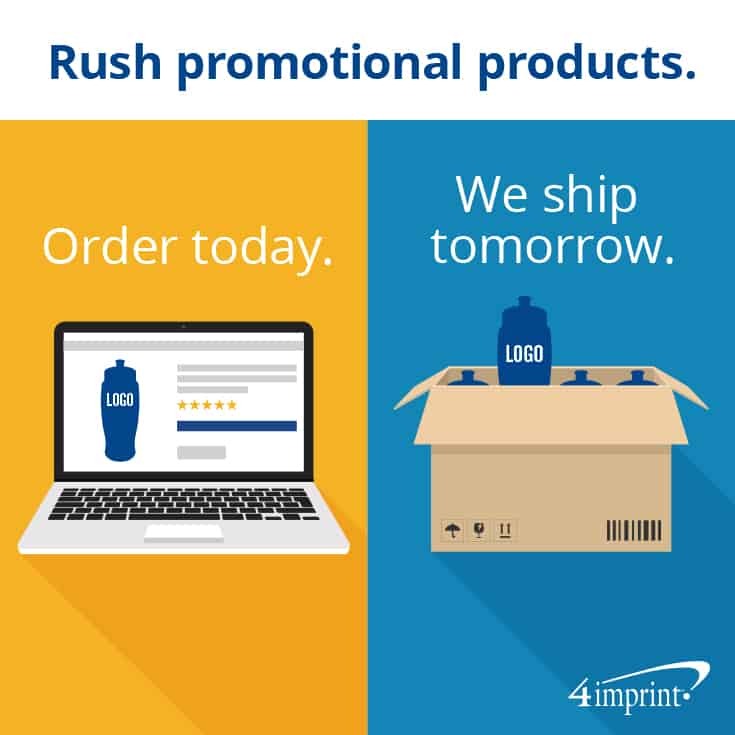 Rush promotional products can ensure everyone gets a reminder of your event to take home. But what about other unforeseen issues, like a change of venue or inclement weather? 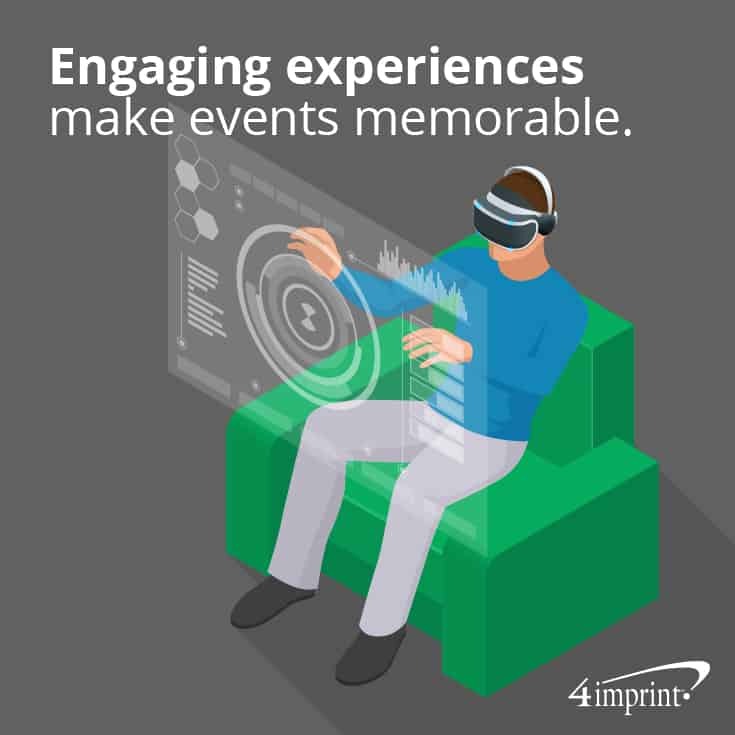 Experts agree that offering engaging and entertaining experiences can make your brand and your event unforgettable, even if there are some unavoidable problems along the way. And unique promotional products can help elevate their experience. Get everyone at your event smiling with the Surge Mesh Back Cap. This trendy hat will remind them of your messaging every time it is worn. Encourage guests to take a virtual adventure with the Cliffhanger Virtual Reality Glasses. Event attendees will have fun experiencing a whole new world at your event. Finding the right candidate takes time. When you find them, it’s important to make them feel welcome. In fact, Canadian companies with leading onboarding programs experience retention rates of 70 percent. Help employees feel welcome from day one with the perfect promotional item—rushed to your door if need be. For a gift that will get daily use, choose the Leather Business Card Holder. 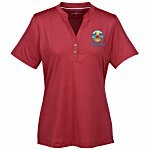 This quality rush promotional item is sure to be shown off at every conference or business meeting. Or, go with a professional and practical gift and choose a Dimensions Jr Padfolio to impress new employees. There’s not always ample time to prepare for a press event when your business has a significant announcement. 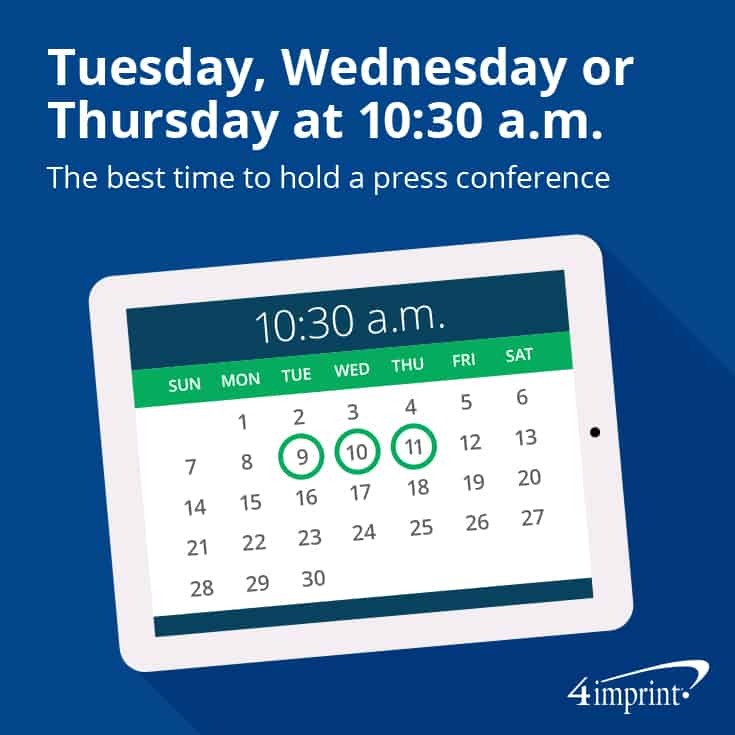 Studies show the best time to hold a press conference is between 10:30 a.m. and 11:30 a.m. on a Tuesday, Wednesday or Thursday, so it may be necessary to hold an event within days of learning big news in order to make the biggest impact. 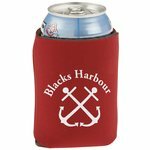 Promotional items are a unique and memorable way to invite individuals to your event. Handing out promotional items at the event is also a good way to make your press release stand out. Put copies of your press release and other media materials in the Laminated Large Fashion Tote. These roomy, reusable bags are a professional way to display materials. For note taking, hand out the multifunctional Blossom Stylus Pen/Highlighter. Whether for digital or hand-written notes, this office item will come in handy. Rush promotional products, to the rescue! When time is not on your side, rush promotional products can be! Whether you need them for one of these important occasions or just don’t care to wait, try one for your marketing needs.